Welcome to "GoVirtualWorld" – A vision of today as the fastest growing B2B IT company. Another Way! 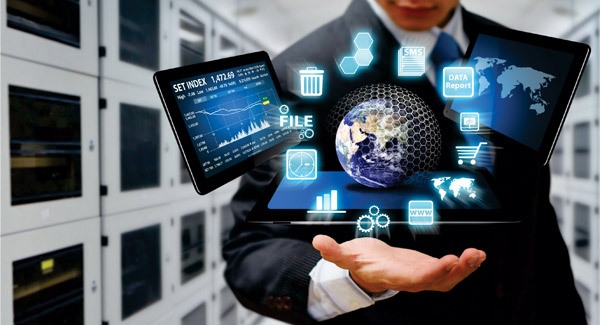 Our services span the full range of IT solutions such as Hardware Services, Software Services, Managed IT Services, Application Services, Computer Optimization, Communication Services, Operating System Services, Email Services, Internet Browser Services and Brand Services. Our technology service transpires, improvises and comforts all to use software and hardware devices, as well as boost confidence and confidence to adapt latest technology devices and software, keeping with the time. We find solutions to all your technology infrastructures and provide tailor made easy setups as per your company requirements. Deliver quality, affordable technology services and solutions for the SME. Our VFTS plan means if your systems go down, it is us that loses profit not you! You see our purpose is to prevent problems from happening in the first place which includes 24-7 monitoring and back it up with a guarantee. Offering exceptional customer service on a personal but professional level. Provide your business with IT support from high end level Microsoft Certified Engineers and can also include Broadband, VOIP, Landline or Mobile communications leaving all your worries to us leaving you to concentrate on what you do best. Operating Systems - Computer services to help your business. With unlimited telephone, virtual service and our unlimited online support service, you can be sure your IT systems are in a safe and reliable hands. You can have your own IT department on call without the need for dedicated staff maximize cost savings. Restoration and upgrading of Microsoft data from a failed server and migrating Exchange servers to the latest versions. Firewall and Security – Installation of Watchguard, Cisco and many other firewalls into small and medium sized companies. From global VPN's to an entry level firewall for a small company we ensure your business data is safe. With a complete security audit and anti-virus and anti-spam services, we have a complete security solution for your business. Data Backup - Backup monitoring means the backup logs generated by your computer is going to be read on a scheduled basis by a dedicated engineer who knows how to read your backup logs. Space usage is also monitored to assure you that you will not over run your storage capacity and if any problems arise then solutions are quickly formed. Websites and Mobility – Websites and Mobile Apps is the biggest customer facing brand element. It speaks to more people than your company brochure or sales team ever could. Your clients get the options to trade online, generate leads, communicate and educate staff, and to use their website as a business tool. GoVirtualWorld gives comprehensive software solutions to companies for setting up the business and smooth working. GoVirtualWorld is one of the pioneers in providing technology actionable intelligence, personal intelligence, and customer insights to consumers, small businesses and start-ups. During development phase: Our software engineers are specifically take care of companies requirements, analyse business, architect companies system, integrate systems, software service to deliver quality product and successful implementation of your system. We deliver on the promise of Software as a service package. We provide software solutions and help companies provide the same rich, immersive user experience offered by the leading internet destinations, while eliminating many costly IT challenges our customers often face. We offer our clients an unbeatable value for their ecommerce investment. Our solutions are fast, innovative, secured to build our brand on customer service. We steer applied and actionable intelligence by providing an exceptional high tech software experience for customers on our internet-connected local forum in US.